The Kili Crew reaches the summit for a beautiful sunrise! 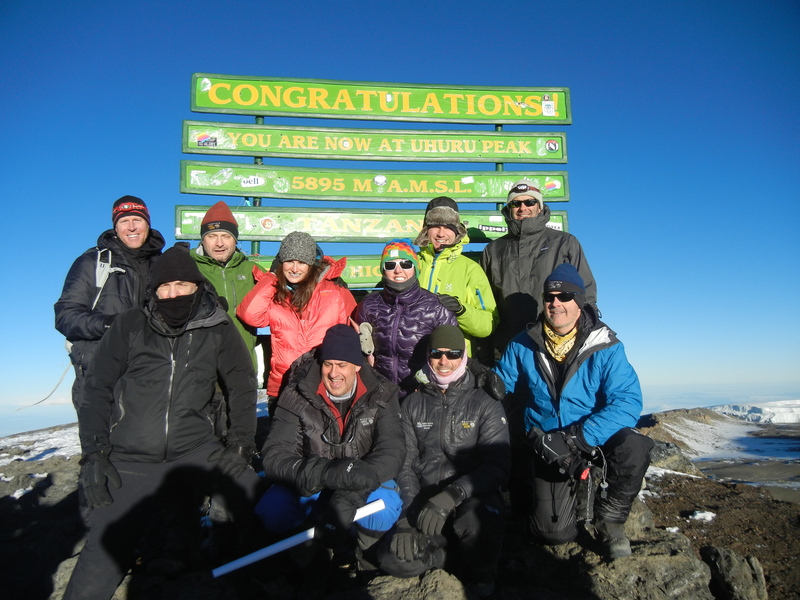 Hi, this is John with the Kilimanjaro Crew. Its 9:30 in the morning and everybody is safely back down in camp after having made the summit. The whole Crew got up to the top and we were up at Stella Point at about 5:20 and we were on the summit just for sunrise all together. It was a very beautiful morning; it wasn’t cold, wasn’t windy, sort of unusual actually. And we got to meet the other Alpine crew who was up there, just about the same time. So we had the place to ourselves for about forty minutes and then a big group of British high-schoolers came in, so we moseyed on down back to Stella Point, would our way back down the zigzags to camp. Folks are taking a little bit of a nap now and we’re going to have lunch here in another hour or so, and then we’re going to get on the trail and head on down to where there is some more oxygen. Everybody’s safe and sound, everybody made it, hard to beat. The Team summits Kilimanjaro on a beautiful clear night hiking under the stars with amazing views from the roof of Africa!